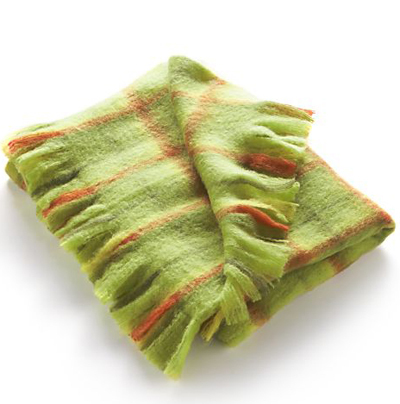 This cuddly fringed Bold Green Plaid Throw is handwoven with a brushed texture that’s super soft to the touch. A natural wrap for chilly weather, the throw’s gorgeous plaid also makes a great room accent. $49.95. Buy here.